How do I move videos in my Video Streaming account? In your Video Streaming account, you can copy videos from one channel to another. This is useful if you accidentally stream a broadcast on the wrong channel, or if you simply want the videos to be available to more than one group. To copy a video, hover over the login icon of your Video Streaming account and click Channel Settings, then clicking on the name of the channel you wish to move videos FROM. 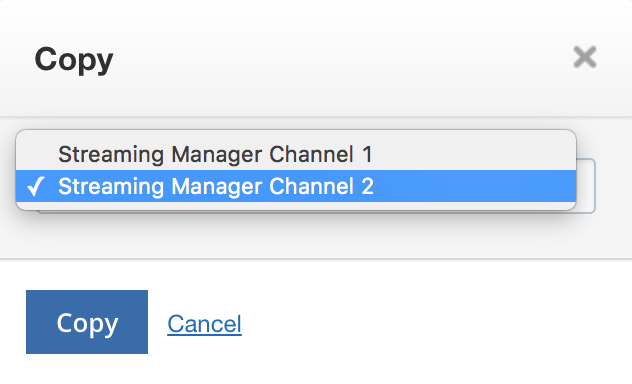 This will open up the channel settings menu for this channel. Then click videos. This will point you to your video management page. 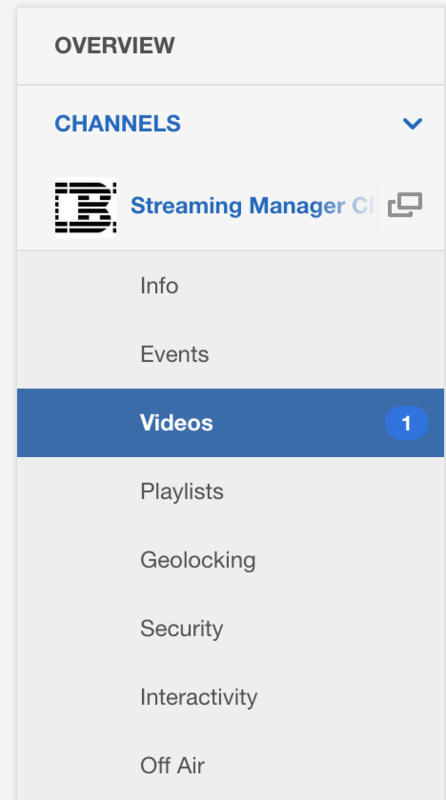 Once you are in the videos tab, you can select the videos you want to move by clicking on the row of each video. This will activate the checkbox to the left of each video thumbnail. Once you have selected the videos you wish to move, click on the "more" tab at the top of the videos page and select "copy". After clicking copy, a pop up box will allow you to select the channel you wish the videos moved to. Choose the channel you wish to move the videos to, and then click "copy". After a brief wait, your videos will now be available on your second channel.